Laos is a small country found in Southeast Asia. It is bordered by Vietnam, China, Burma, and Thailand. 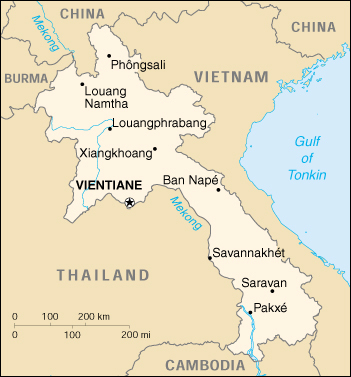 Around 7 million people live in Laos, and the capital city is Vientiane.